Winter has well and truly arrived in Scotland and Christmas is just around the corner. 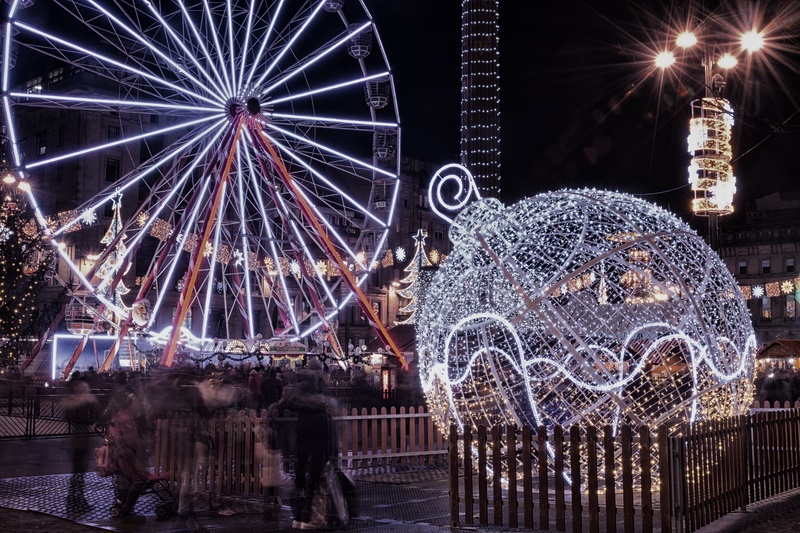 To get you in the mood to celebrate, we’ve pulled together a list of our favourite Christmas things to do in Glasgow. The hustle and bustle of the city during the festive period is one of the things that makes Glasgow special at Christmas. But for those times when the Christmas shopping is feeling a little stressful, Princess Square have created a Blissmass lounge. The space is the ideal spot to grab a comfy seat, drop the bags and enjoy the festive buzz. The lounge will run until the 17th December. You can’t have a Glasgow Christmas without visiting a carnival organised by Scotland’s unofficial national drink. The Irn Bru Carnival will run from 20th December to the 13th January and is currently Europe’s largest indoor funfair. For those brave enough, the fair’s fast paced ‘Thrill Rides’ are a must, whilst families can smaller ghost train’s, waltzers and amusements. Just off Argyll street, Glasgow’s Hidden Lane isn’t as much of a secret as it used to be. The little street is home to around 100 studios, where artists from all walks of life sell their creations and services. Throughout December, the lane will be hosting a variety of festive activities, including traditional Christmas wreath making and tasty treat sampling. BAad’s special screenings are shown in their heated courtyard, covering all the Christmas classics, including Elf and Love Actually. Their festive cinema experience comes with sweet popcorn, onsite pizza and a cocktail and craft beer bar. One of the lesser known Christmas events in Glasgow, retail experts John Lewis will be hosting a number of ‘dress to impress’ table masterclasses. 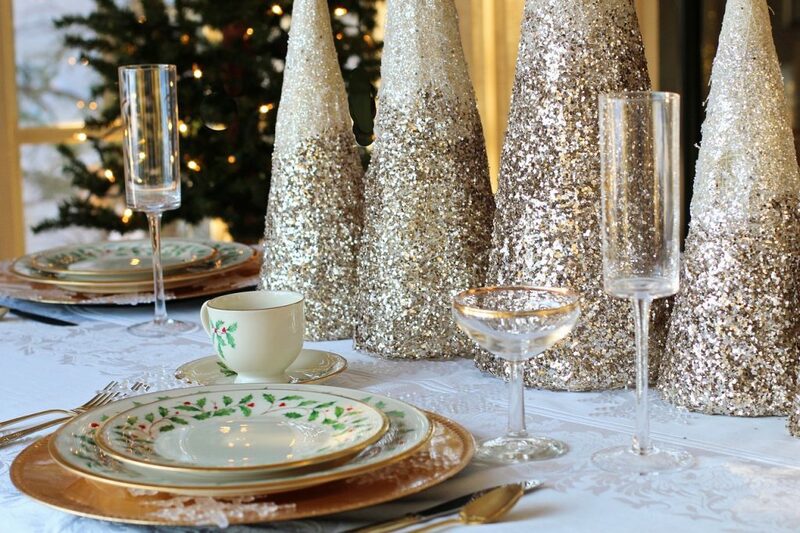 The store will be covering everything you need to know about how to transform your Christmas dinner table into a colourful and stylish work of art. Each 30-minute complimentary class will be split into themes; Amber, Ruby and Emerald. For more information on times and dates, check out their website here. Last year saw 8000 Santas take to the streets of Glasgow to raise money for charity. Registration includes your Santa suit and a medal for finishing. Whether you walk, run or just want to watch, this is a big red Christmas sight you don’t want to miss. Glasgow’s George Square Christmas market is the biggest in the city, running right up until the 29th December. With over 50 stalls from all over the world, sipping on mulled wine whilst browsing their wares is the perfect way to while a way a cold afternoon. This year the George Square market will be adding a Helter Skelter, vintage carousel and Santa meet and greet to its festivities. Feeling frosty at the Christmas markets? Grab your skates and warm up with a turn around George Square’s Winter Wonderland ice rink. The rink is suitable for adults and children alike, with skates available for hire on site. Explore the streets of Glasgow in comfort whilst tucking into a 3-course Christmas dinner aboard a vintage Routemaster bus. The two-hour evening tour delivers classic Christmas dishes such as Turkey with all the trimming and tasty Christmas Yule log and can even be booked for private Christmas parties. Pop the headphones on and get ready for a musical marathon around one of the four routes available around the city. Discover the secret sites of raves and famous after parties or check out the cities best music venues whilst bopping along locally inspired soundtracks and DJ interviews. Visiting Glasgow over the Christmas period? Take a look at our three and four-bedroom serviced apartments. We are located right in the heart of the city, close to all transport links and many of the festive activities in our list.